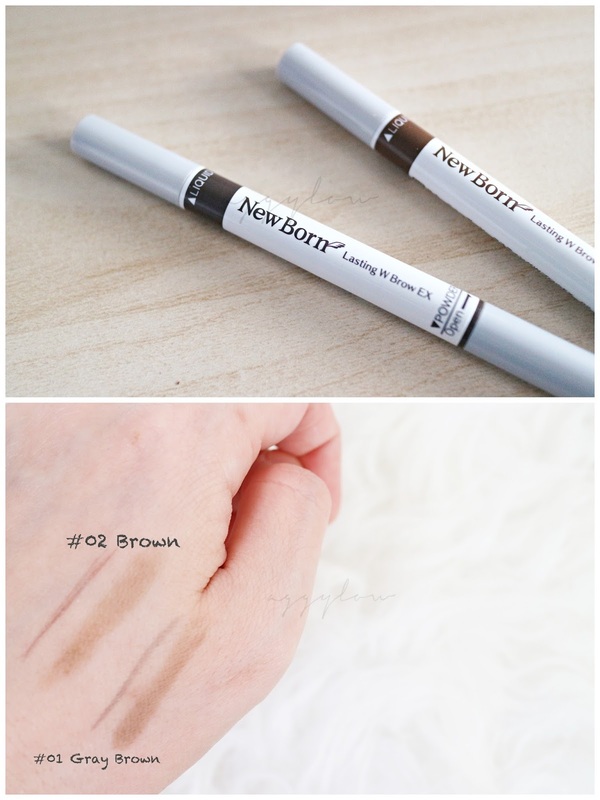 Perfect those brows with SANA NewBorn Lasting W Brow EX! 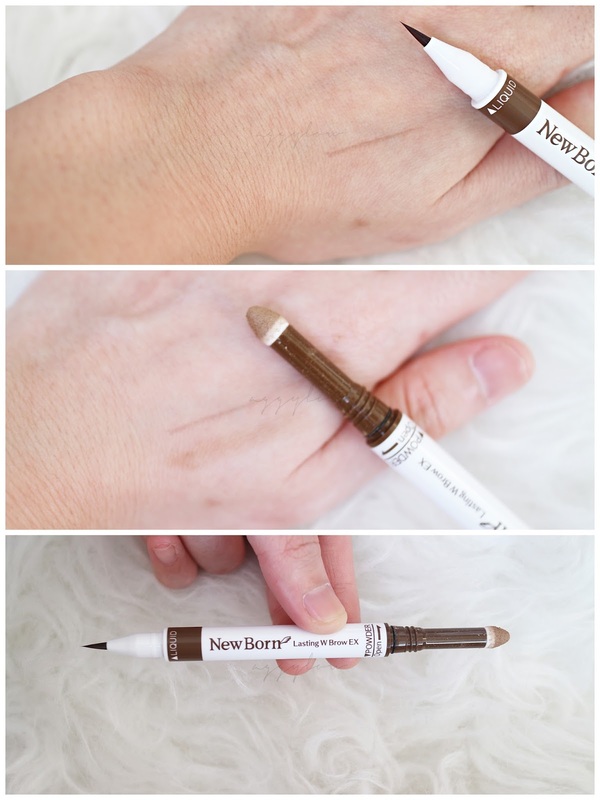 It is super easy to use and I bet you have never heard of a dual function eyebrow liquid pencil, right?? 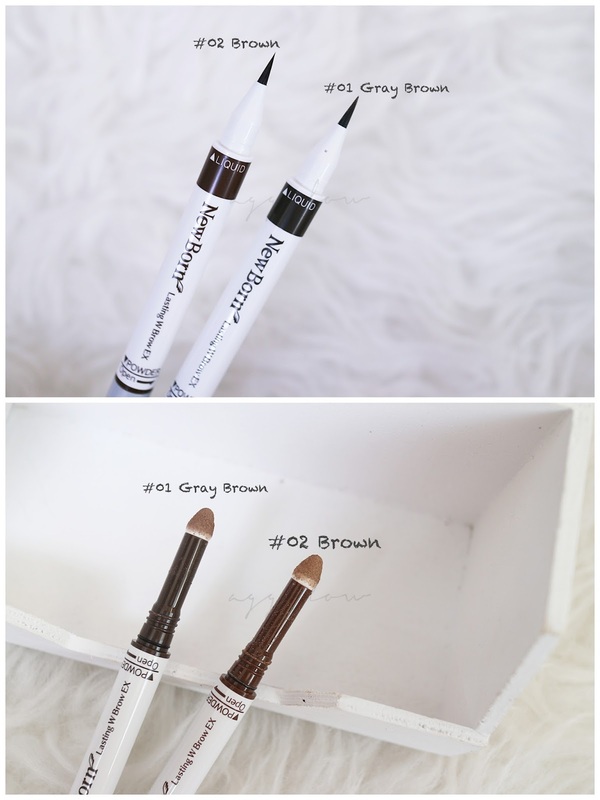 Of two colours, #01 Grayish Brown and #02 Natural Brown, this powder x liquid eyebrow pencil has the ability to last for up to 15 hours, is waterproof and contains a beauty essence called Panthenol! 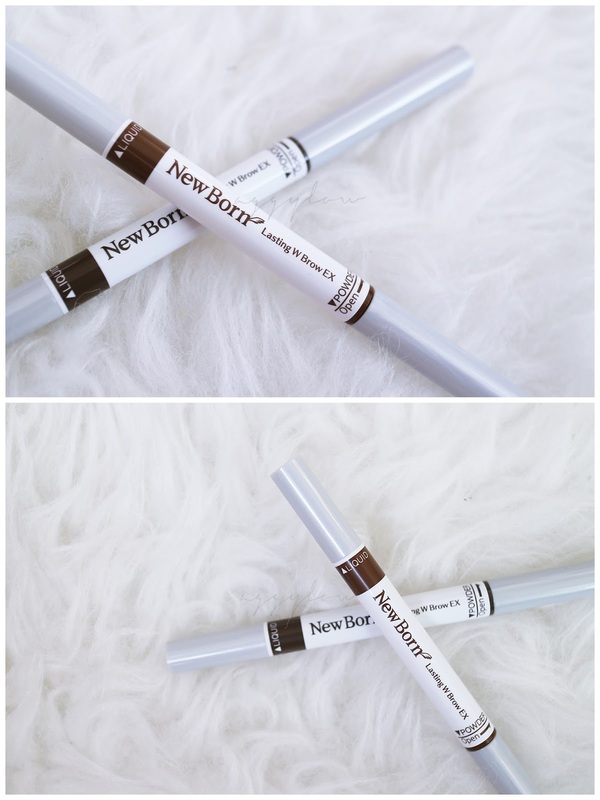 Targeting trendy ladies familiar with up-to-date makeup techniques and for those who love long-lasting makeup, the SANA NewBorn Lasting W Brow EX carries two different functions - the solutions to the problems many of us ladies have! (1) Liquid Liner - Imagine shaping your eyebrows with the liquid liner of this pencil! As the tip is so thin, you can literally draw very fine strokes to shape your brows accordingly. The colours are really light and are not harsh which means YAY to natural-looking eyebrows! Double YAYs to how easy it is to use! (2) Powder sponge - After drawing your eyebrows with the liquid liner, you will need to fill it in for a natural finish! The powder again is subtle and easy to apply, and the applicator is gentle and soft so it is possible for everyone to get well-defined and gorgeous eyebrows in just two simple steps! Thumbs up for the subtle shades! Let's go through the steps one-by-one on how you can transform your eyebrows from MEH to YEAH and also so that you know how to use them! Use the liquid side to draw the shape of your eyebrows! The conventional liquid felt-tip pencil has an ultra thin brush that enables you to draw a line as fine as 0.1mm so you can shape your eyebrows with stroke by stroke lines! Fill in your eyebrows along with the shape that you have drawn with the powder applicator that is slightly pointed for easy application! I wore it over these few days and tried different looks with the different shades. 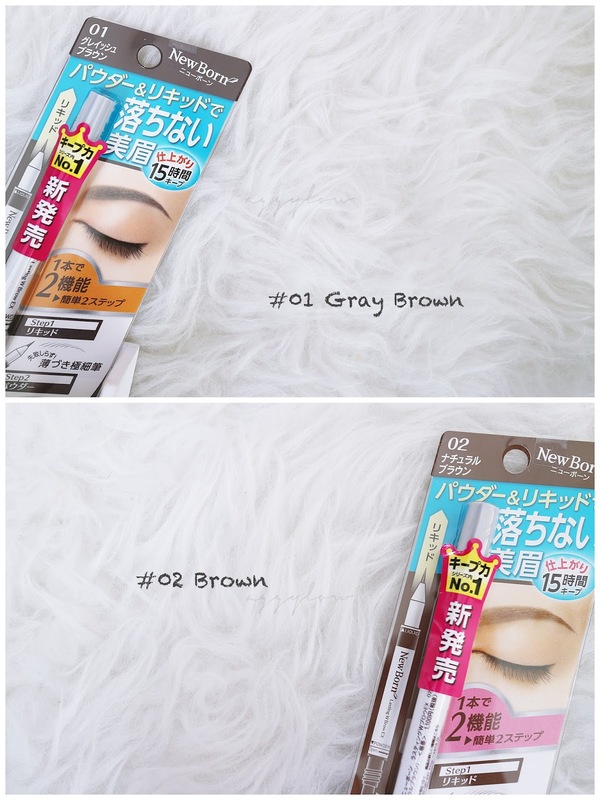 When I have a sweeter makeup look on, I use #01 Gray Brown on my eyebrows. The dark gray-brown shade makes the pink eyeshadow I'm wearing pop and is perfect for every-day wear! When I am dressed up for a weekend date, I usually go with a little bit of smokey eye makeup and more of brown hues and shades which make #02 Brown perfect as it is really light and does not steal any attention away from my eyes. By drawing your eyebrows with the liquid felt-tip and "sealing it in" with the powder applicator, it is no wonder this best combination gives us an amazing water-proof effect which forms a barrier against sweat, water and excess oil! 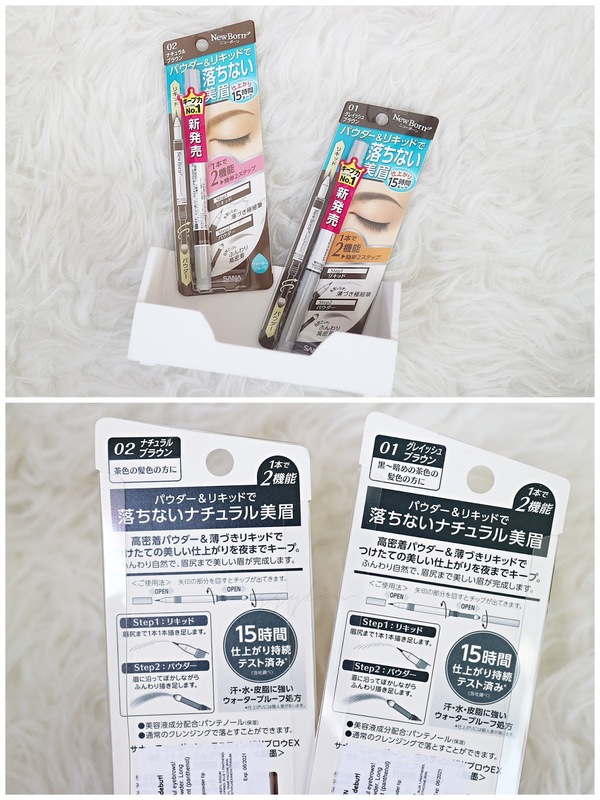 Thankful to have crossed paths with this lovely new eyebrow makeup product from SANA! Finally I can no longer worry about "BAD BROWS DAY" and have pretty eyebrows with a long-lasting finish! The SANA NewBorn Lasting W Brow EX comes in two shades and is available at all SASA, Watsons & BHG ALT Concept Stores for S$21.90. Do follow SANA Singapore @SANASGP on Instagram and like their Facebook page for more of their exciting promotions, product launches and latest updates! 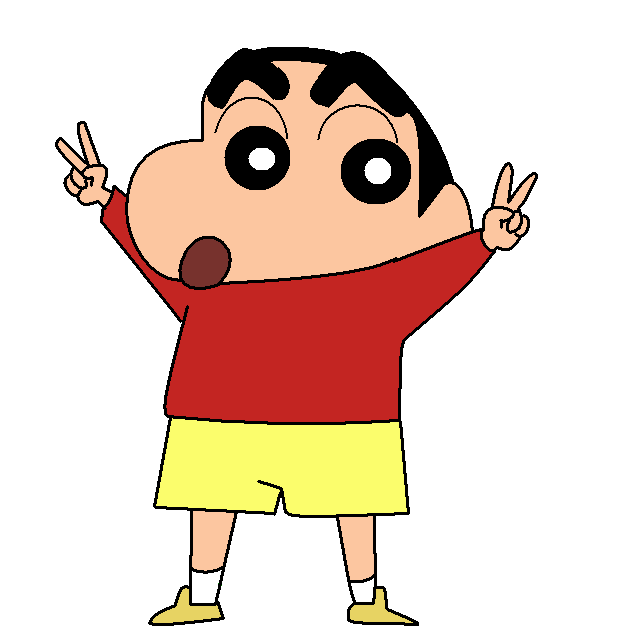 It is interesting to read your blog. Daily new and something people find very helpful to look better. Thanks for introducing new products.